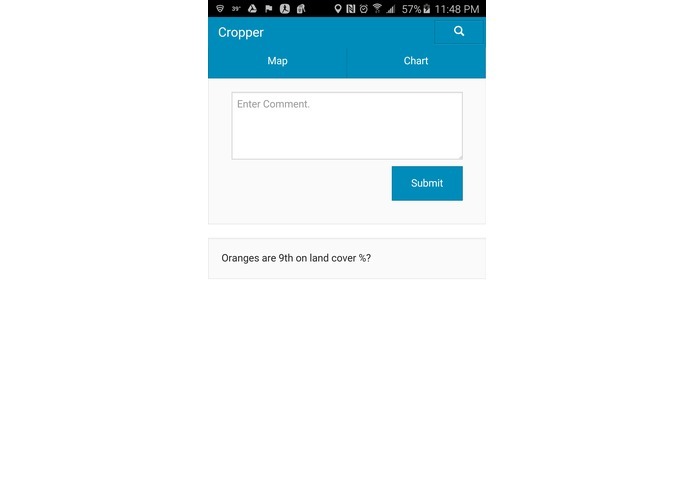 To improve analysis of CropScape datum. 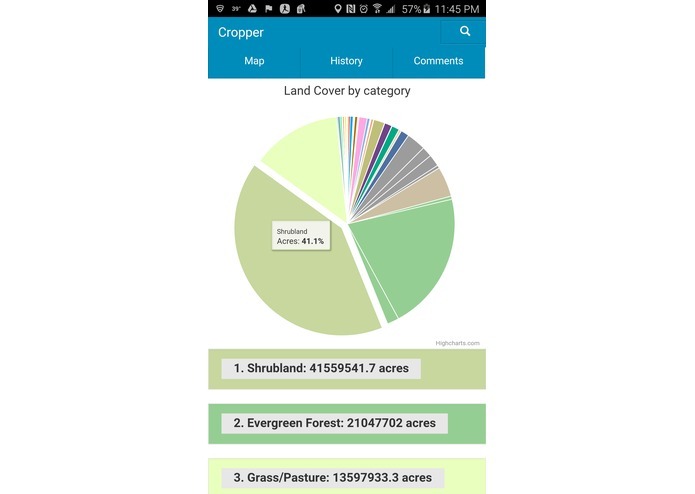 The app is an attempt to allow mobile analysis of data through a static library of state images and data. 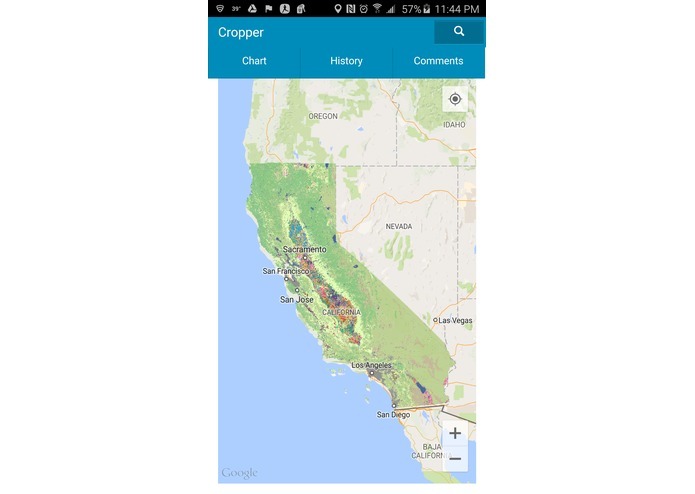 Allow analysis of CropScape datum at the state level. The CropScape overlays did not work on IOS and I ran out of time to find a solution. 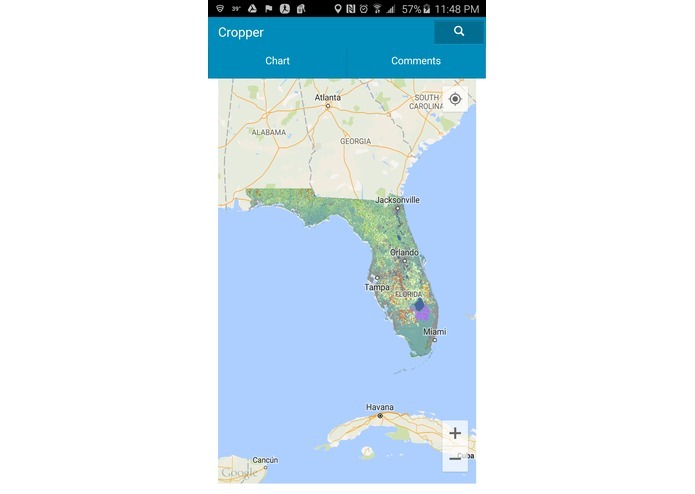 Loading CropScape overlays onto mobile platforms without excessive memory use resulting in a foreclose or crash. Georeferencing images onto a map is now outdated. A conversion of vector would allow a better experience and analysis but precision of raster conversion and land use overlays would have to be calculated. 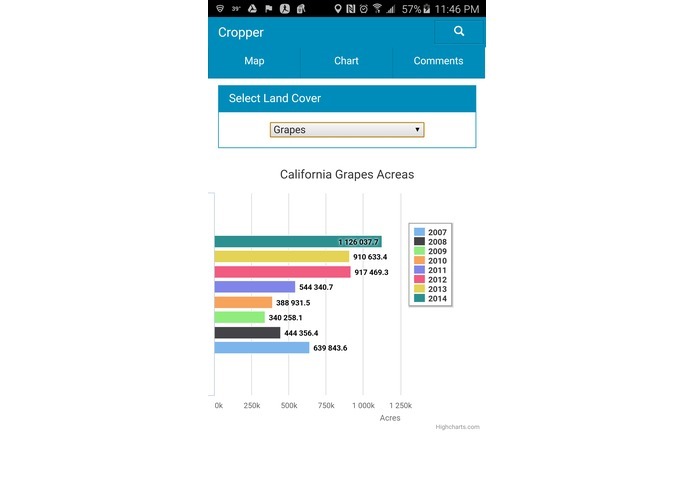 Include the full data of CropScape and allow loading of single or multiple country overlays and individual landuse overlays. 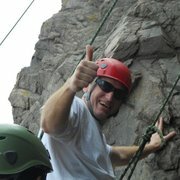 I completed all coding on the app.